Prof. Craig B. Arnold and his research group focus on materials processing and fabrication, with applications in energy, optoelelectronics, sensing and nanotechnology. E. Turkoz, M. Morales, S. Kang, A. Perazzo, H. A. 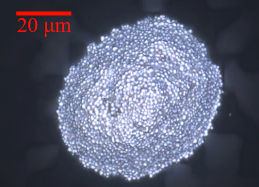 Stone, C. Molpeceres, and C. B. Arnold, Applied Physics Letters (2018) presents the use of the capillary healing phenomenon in viscoelastic liquids to perform LIFT by sending the laser pulse to the same spot multiple times. 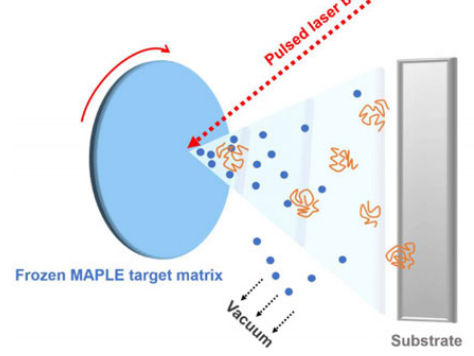 Y. Wang, H. Jeong, M. Chowdhury, C. B. Arnold, and R. D. Priestley, Polymer Crystallization (2018) reviews the crystallization of polymer thin films processed via physical vapor deposition (PVD) and highlights how MAPLE can be exploited to control polymer film morphology in ways not achievable by other methods. 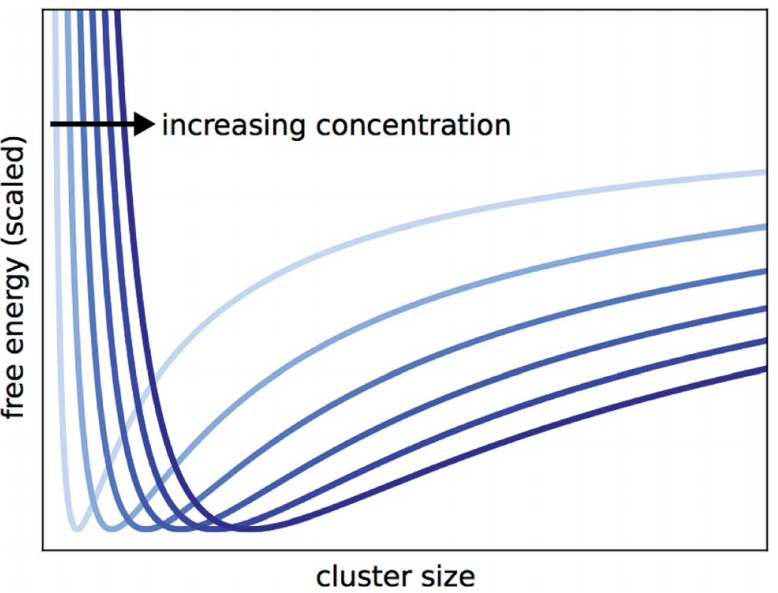 N. S. Dutta, and C. B. Arnold, RSC Advances (2018) presents a mechanism for cluster size determination in solution-processed chalcogenide glass to enable improved property control in optoelectronic device fabrication. 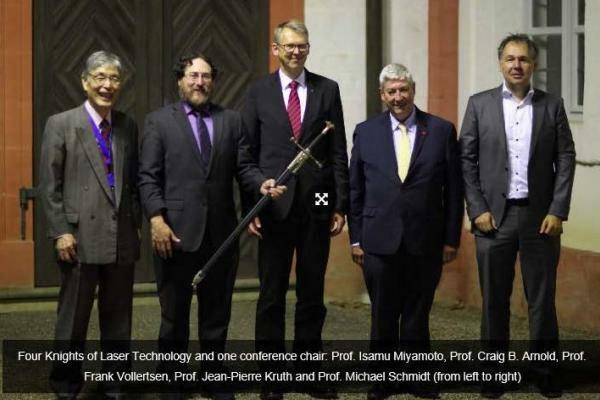 Craig Arnold was ennobled as a new Knight of Laser Technology at the 10th CIRP Conference on Photonic Technologies [Lane 2018] in Fürth, Germany. 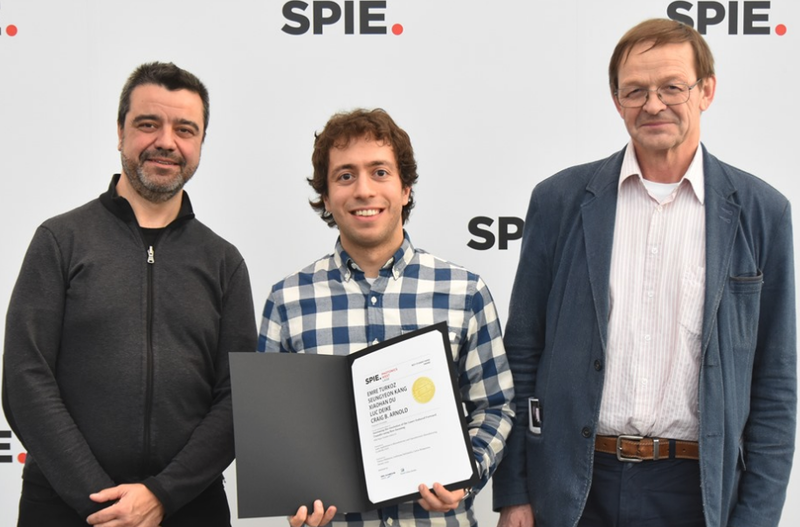 Prof. Arnold was recognized for his work on laser processing of materials and the development of the TAG Lens. Among other things the award comes with a sword that Craig can keep for the next 2 years until the next Knight is named! 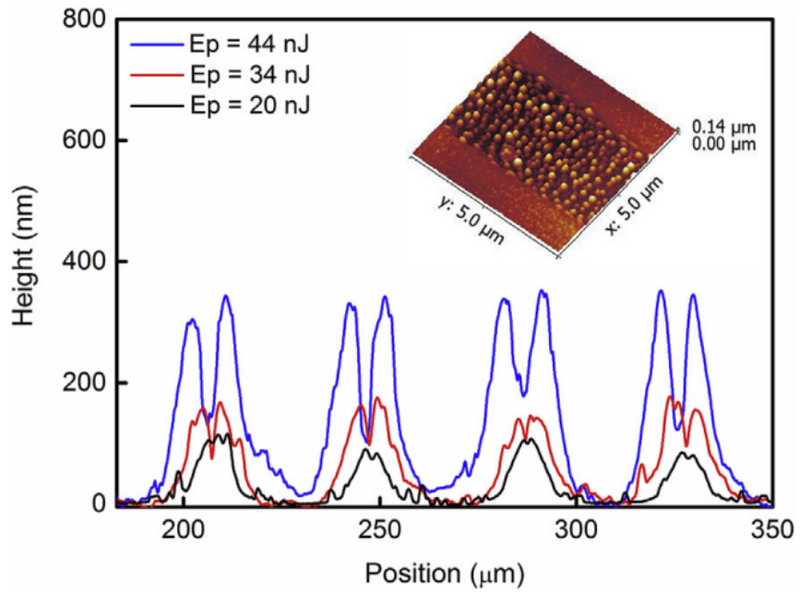 J. M. P. Almeida, K. T. Paula, C. B. Arnold, and C. R. Mendonça, Optical Materials (2018) demonstrates the self-organization of chalcogenide glasses using direct laser writing with femtosecond pulses. Thomas (Tommy) Metke has joined our group as a first-year graduate student! Welcome Tommy! Xiaohan (Amanda) Du has won the second year fellowship award! Congratulations! Xinyi Minnie Liu was presented with the American Tower Poster Award in recognition of the outstanding presentation by a graduate student at the 2018 ACEE and E-ffiliates retreat. ECS and SMEQ Joint International Meeting: Cancun, Mexico (September 30 – October 4, 2018).